Dr Michelle brings us part 2 in her mini-series around HIV/AIDS – in this show, she talks about HIV testing and the various test options available. Dr Michelle brings us the third show in her mini-series on HIV/AIDS, this time looking at advances in HIV treatment. 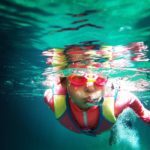 Drowning – would you know what to do? Beware of stinging insects! Enjoy your al fresco summer dining safe in the knowledge of what to do if those bees or wasps attack. In this podcast, Dr Michelle explains all.